Unfinished Project: the key to my heart. I celebrated my real birthday a couple of weeks ago returning home to Atlanta from Seattle - it was like my own version of planes trains, and automobiles. Obviously the week away (more on that to come, but here is Day 1 and Day 2) was celebration enough, but last night I celebrated again - with my most favorite person ever. The key to my heart, like most women, includes flowers, jewelry, and fancy clothes. But for high-maintenance me, the key to my heart also includes Jimmy Fallon. Jacob delivered. 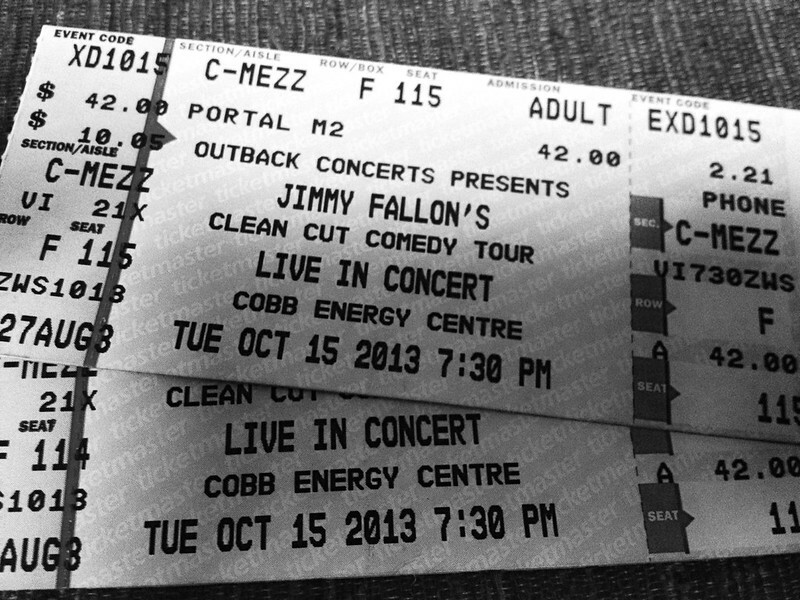 Fallon performed at the Cobb Energy Centre on his Clean Cut Comedy Tour, alongside fellow comedians Julian McCullough, Nate Bargatze, Seth Herzog, and Nick Thune. To try and repeat some of the hilarious jokes we heard would be to violate one of my biggest pet peeves at a comedy show - to pretend as though I'm a comedian myself. What about attending a comedy show makes everyone think they get to be the "funny guy/girl?" On the elevator, in lines for drinks, Jacob and I exchanged knowing, annoyed glances listening to these offenders sharing their best material. Also, now that I'm on my "Things to Never Do at a Comedy Show" soapbox, why do members of the audience think it's their job to remind the comedian of his popular bits? There were girls yelling "hashtag ATL" all night - as if they needed to remind him of his bit with Timberlake about overusing hashtags. Hey, everyone, Fallon knows about the hash tag bit - he wrote it! And don't get me started on large numbers of people trying to clap in rhythm to Fallon playing his guitar . . . dreadful. Fallon did some of the best sketches from his show - including "thank you notes," and a lip-sync off with Vampire Diaries' Nina Dobrev. 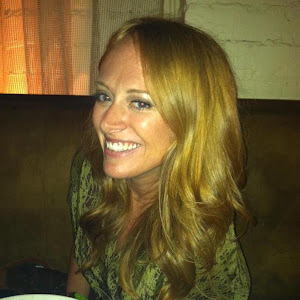 (Side note: she is so beautiful.) I laughed so hard, my cheeks and stomach hurt. I may have even peed a little, and isn't that always a sign of a good birthday celebration?